Shuja heads the Hospitality Business Unit of Altayyar Travel Group that includes Equinox Hospitality Group offering full suite of hospitality services; and CHME Ltd. the master development company of CHOICE International’s hotel brands in the Middle East. Shuja is a senior hospitality leader and has worked in various parts of the world including the United States, China, Asia Pacific and the Middle East regions. 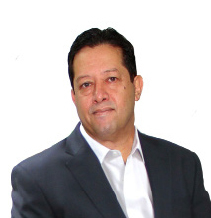 Prior to his current role, Shuja was Vice President Projects with Hilton Worldwide. Shuja held various senior leadership roles with Hilton Worldwide in a career spanning over 20 years. As a seasoned hotelier with diversified experience, Shuja has managed and steered large hospitality and mixed-use developments from initial concept to operations. Shuja in his role with Equinox engaged and built a successful track record in effectively translating owners and investors’ vision and conceptual business models into specific growth strategies. One example of Shuja’s leadership can be sighted in the development of Jabal Omar mega project in Makkah where Shuja’s skill of building efficient and cohesive teams in a complex project environment was a key to the success of the project in its infancy. Shuja has frequently been ranked as one of the most influential hoteliers in the Middle East region by The Hotelier magazine “Power 50”. He is often called upon to address industry forums and conferences offering his expert knowledge on the region’s hospitality industry. Shuja is a certified Real Estate and Hotel Asset Manager from Cornell and has completed senior leadership education in strategic management from London Business School and IMD Lausanne in Switzerland. Shuja earned his Masters of Business Administration from the University of Guam USA.